Footprint's best-selling Diving the World takes the underwater adventurer on a magical tour of many of the world's top dives. Some 200 prime sites have been carefully selected, reviewed and photographed by experienced husband-and-wife team, Beth and Shaun Tierney. From the pristine reefs of Papua New Guinea to the warm waters of the Belize Barrier Reef and the legendary wrecks of Micronesia's Truk Lagoon, there's something for everyone. The guide also features personal opinions and anecdotes from both experts and other divers, as well as recommendations of what to do and see on dry land. Diving the World, is a wonderful journey to the best diving on the planet. 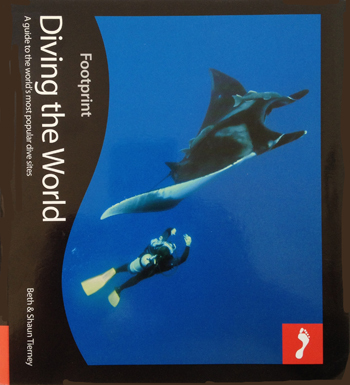 Written by well renowned divers and authors Beth and Shaun Tierney, who have dived and explored every destination in the book, making it a well- researched, comprehensive and inspirational guide. As a scuba diver and underwater photojournalist for more than 35 years, I have traveled to many of the same locations highlighted in this book. I enjoyed revisiting these locations through the images and story. This highly informative and impressive collection of dive destinations and location details provides both the new and well-seasoned traveler with as much in depth data as is possible in a world survey. The underwater photographs and map illustrations add much to the journey. I was pleased to find several locations that have either been on my list of 'must dives' or that are welcomed surprises to add to my list. Robert Aston, Editor, On-the-Edge Magazine.